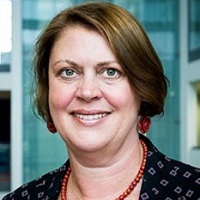 Jacqueline Davies is the psychology and communication skills lead for adult nursing in the School of Health Sciences at City University London. She won the 2014 Health Education [HE NCEL] innovation quality award for her development and delivery of her module 'Relating Social Sciences to Healthy Communities'. She bases her teaching of undergraduate and post graduate courses on an expertise in social sciences and research methods. Jacqueline has led research to develop evidence based practice in nursing and midwifery. Employed as a research fellow at CUL until 2007, she managed the research programme of risk management for the School. The programme included national and international studies of risk in forensic mental health, stoma care, prenatal screening and learning disabilities from the perspectives of service users and multidisciplinary teams: a programme to which Jacqueline still contributes. PGCert in Academic Practice, City University London , 2009. Research Fellow, South Bank University, 1993-1996. Lead convenor of the British Sociological Association’s Risk Study Group since 2007 and Co-Convenor of the British Sociological Association’s London Medical Sociology Group since 2006. Regularly participating in BSA conferences as a presenter and chairing events since 2003. First published in 'Sociology' in 2001. Chartered Psychologist (CPsychol) and Associate Fellow (AFBPsS) since 2012 . Member of the Divisions of Health Psychology Academics Researchers and Teachers in Psychology since 2012. First became a graduate member (MBPsS) in 1992. Fellow of the Higher Education Academy (FHEA) since 2009 after completing the PGCert in academic practice. Jacqueline was first employed at City University London to help develop the evidence base of nursing and midwifery. She has led on projects for research capacity building for practice nurses (Davies et al. 2002 a,b), an evaluation of a midwifery service (Sandall, Warwick and Davies, 2001) and participated in other research projects such as the streaming in primary urgent care (Procter et al., 2009. Bickerton et al., 2012). Between 2000 and 2007 she managed a portfolio of research in risk management for the health school. The portfolio included qualitative studies of risk management in forensic medium secure units (Heyman et al. 2004, Davies et al. 2006; Godin et al. 2006; Shaw et al. 2007; Davies et al. 2008; Reynolds et al; 2014) and other clinical settings such as maternity care, learning disabilities and stoma care (Heyman and Davies 2006; Heyman et al. 2012; Heyman et al. 2013). As a lead collaborator on the successfully bid for £43,000, she managed an NHS funded research and development project to facilitate a service user-led evaluation of forensic mental health care (Banongo et al. 2005, Godin et al. 2007, Godin and Davies 2010). With Godin she secured funding and ethical approval, recruited, trained and worked with forensic mental health service users in a research team with service providers and academics. With approval from the ethics committee and all participants it was agreed that the outputs from the project would be used as teaching materials. Through an iterative process, she organised the service users and academic colleagues to work on the analysis of the material from the project visually recording each stage of the analysis. A booklet and DVD of service user researchers presenting their findings have been presented at prestigious conferences from the Institute of Psychiatry to the British Sociological Association’s [BSA] 60 year celebration of sociological research in 2011, and teaching materials used in the classroom with mental health nurses. She continues to be involved in forensic mental health research in which the voice of service users is valued (Reynolds et al. 2014; Reynolds et al. forthcoming). In a research project funded by City to develop and evaluate a ‘serious game’ for forensic mental health service users work with colleagues from City’s Informatics Department as well as those from mental health nursing to meet with service providers and service users to develop and evaluate the game designed to provide a learning and assessment environment. Davies, J. (2016). Exploring Communities of Practice through Public Health Walks for Nurse Education. International Journal of Social, Behavioral, Educational, Economic, Business and Industrial Engineering, 10(3), pp. 738–743. Godin, P. and Davies, J. (2010). On a scale of one to five, how satisfied are you with the forensic mental health care services you received? In Byrt, R., Coffey, M., Kettles, M. and Woodes, P. (Eds. ), Forensic mental health nursing: ethics, debates, dilemmas (pp. 247–250). London: Quay Books. ISBN 978-1-85642-407-3. Davies, J., godin, P., heyman, B., reynolds, L. and Shaw, M. (2008). Health, risk and vulnerability. In Wilkinson, I. and petersen, A. (Eds. ), Health, risk and vulnerability (pp. 85–101). Taylor & Francis. ISBN 978-0-415-38307-3. Heyman, B. and Davies, J. (2006). The tension between autonomy and safety in nursing adults with learning disabilities. In Godin, P. (Ed. ), Risk and Nursing Practice Basingstoke: Palgrave Macmillan. ISBN 978-1-4039-4311-8. Godin, P., Davies, J., Heyman, B. and Shaw, M. (2006). Different understandings of risk within a forensic mental health care unit: a cultural approach. In Godin, P. (Ed. ), Risk and Nursing Practice (pp. 79–98). Basingstoke: Palgrave. ISBN 978-1-4039-4311-8. Fidler, B. and Davies, J. (1998). The inspector calls again: the reinspection of schools. In Earley, P. (Ed. ), School Improvement after Inspection? School and LEA responses (pp. 153–167). London: Paul Chapman Ltd. ISBN 978-1-85396-417-6. Ouston, J. and Davies, J. (1998). Ofsted and afterwards? Schools’ responses to inspection. In Earley, P. (Ed. ), School Improvement after Inspection? School and LEA responses London: Paul Chapman Ltd. ISBN 978-1-85396-417-6. David, M., Davies, J., Edwards, R., Reay, D. and Standing, K. (1996). Mothering and education: Reflexivity and feminist methodology. In Morley, L. and Walsh, V. (Eds. ), Breaking boundaries: Women in Higher Education London: Taylor & Francis Group. ISBN 978-0-7484-0519-0. Davies, J. (2016). Exploring communities of practice through public health walks for nurse education. 18th International ~Conference on PUblic Health and Medical Technology 14-15 March, Paris, France. Davies, J. (2015). 'StreetWise: a valid ecology for a serious game in a secure forensic mental health setting'. The 6th International Conference on Emerging Ubiquitous Systems and Pervasive Networks (The 5th International Conference on Current and Future Trends of Information and Communication Technologies in Healthcare (ICTH-2015)/ Affiliated Workshops (63) 27-30 September, Berlin, Germany. Davies, J. (2015). Observations on a public health walk. Mission Biodiversity: Choosing new paths for conservation 2-6 August, Montpellier, France. Davies, J. (2015). Nursing students walking the walk of counteracting environmental health inequalities. 52nd International Making Cities Livable Conference: Achieving Green Healthy Cities 22-29 June, Bristol, UK. Davies, J. and Godin, P. (2011). An exercise in Emancipatory Research. British Sociological Association 6-8 April, London School of Economics. Reynolds, L.M., Davies, J.P., Mann, B., Tulloch, S., Nidsjo, A., Hodge, P. … Simpson, A. (2017). StreetWise: developing a serious game to support forensic mental health service users' preparation for discharge: a feasibility study. Journal of Psychiatric and Mental Health Nursing, 24(4), pp. 185–193. doi:10.1111/jpm.12340 . Davies, J. (2016). Using the real world to develop nurses' skills. Nursing Times, 112(6-7), pp. 23–24. Hodge, P., Davis, J., Maiden, N., Mann, B., Nidsjo, A., Simpson, A. … Reynolds, L. (2015). StreetWise: A valid ecology for a serious game in a secure forensic mental health setting. Procedia Computer Science, 63, pp. 252–259. doi:10.1016/j.procs.2015.08.341 . Reynolds, L.M., Jones, J.C., Davies, J.P., Freeth, D. and Heyman, B. (2014). Playing the game: Service users' management of risk status in a UK medium secure forensic mental health service. Health, Risk and Society, 16(3), pp. 199–209. doi:10.1080/13698575.2014.911820 . Heyman, B., Godin, P.M., Reynolds, L. and Davies, J.P. (2013). Assessing the probability of patients reoffending after discharge from low to medium secure forensic mental health services: An inductive prevention paradox. Health, Risk and Society, 15(1), pp. 84–102. doi:10.1080/13698575.2012.751090 . Bickerton, J., Davies, J., Davies, H., Apau, D. and Procter, S. (2012). Streaming primary urgent care: a prospective approach. Primary health care research & development, 13(2), pp. 142–152. doi:10.1017/S146342361100017X . Heyman, B., McGrath, A., Nastro, P., Lunniss, T.R.C. and Davies, J.P. (2012). The case of the lady who risked exploding: A study of multiple consequences and contested values. HEALTH RISK & SOCIETY, 14(5), pp. 483–501. doi:10.1080/13698575.2012.682977 . Davies, J. (2008). Risky trade: Infectious disease in the era of global trade. HEALTH RISK & SOCIETY, 10(3), pp. 318–320. Godin, P., Davies, J., Heyman, B., Reynolds, L., Simpson, A. and Floyd, M. (2007). Opening communicative space: A Habermasian understanding of a user-led participatory research project. JOURNAL OF FORENSIC PSYCHIATRY & PSYCHOLOGY, 18(4), pp. 452–469. doi:10.1080/14789940701470283 . Shaw, M., Heyman, B., Reynolds, L., Davies, J. and Godin, P. (2007). Multidisciplinary teamwork in a UK Regional Secure Mental Health Unit: A Matter for Negotiation? Social Theory & Health, 5(3), pp. 356–377. Davies, J.P., Heyman, B., Godin, P.M., Shaw, M.P. and Reynolds, L. (2006). The problems of offenders with mental disorders: A plurality of perspectives within a single mental health care organisation. SOCIAL SCIENCE & MEDICINE, 63(4), pp. 1097–1108. doi:10.1016/j.socscimed.2006.03.002 . Davies, J., Heyman, B., Godin, P., Shaw, M. and Reynolds, L. (2006). The problems of offenders with mental disorders: A plurality of perspectives within a single mental health care organization. Social Science & Medicine, 63, pp. 1097–1108. Heyman, B., Shaw, M., Davies, J., Godin, P. and Reynolds, L. (2004). Forensic mental health services as a risk escalator: A case study of ideals and practice. Health, Risk & Society, 6(4), pp. 307–325. doi:10.1080/13698570412331323216 . Heyman, B., Shaw, M., Davies, J., Godin, P. and Reynolds, L. (2004). Forensic Mental Health as a Risk Escalator: a case study of ideals and practice. Health Risk & Society, 6(4), pp. 307–325. David, M., Ball, S.J., Davies, J. and Reay, D. (2003). Gender issues in parental involvement in student choices of higher education. Gender and Education, 15(1), pp. 21–35. Davies, J., Heyman, B., Bryar, R., Graffy, J., Gunnell, C., Lamb, B. … Morris, L. (2002). The research potential of practice nurses. Health Soc Care Community, 10(5), pp. 370–381. Ball, S.J., Davies, J., David, M. and Reay, D. (2002). 'Classification' and 'judgement': social class and the 'cognitive structures' of choice of Higher Education. BRITISH JOURNAL OF SOCIOLOGY OF EDUCATION, 23(1), pp. 51–72. doi:10.1080/01425690120102854 . Davies, J., Heyman, B., Bryar, R., Graffy, J., Gunnell, C., Lamb, B. … Morris, L. (2002). Building practice nurse research capacity. Practice Nursing, 13(10), pp. 449–452. Reay, D., Davies, J., David, M. and Ball, S.J. (2001). Choices of degree or degrees of choice? Class, 'race' and the higher education choice process. SOCIOLOGY-THE JOURNAL OF THE BRITISH SOCIOLOGICAL ASSOCIATION, 35(4), pp. 855–874. doi:10.1177/0038038501035004004 . Ball, S.J. and Davies, J. (2001). Décisions, Différenciations et Distinctions: vers une sociologie du choix des études supèrieures. Revue Française de Pédagogie, 136, pp. 66–75. Fidler, B., Earley, P., Ouston, J. and Davies, J. (1998). Teacher gradings and Ofsted inspections: help or hindrance as a management tool? School Leadership and Management, 18(2), pp. 257–270. West, A., David, M., Noden, P., Edge, A. and Davies, J. (1998). Choices and Expectations at Primary and Secondary Stages in the State and Private Sectors. Educational Studies, 24(1), pp. 45–60. David, M., Davies, J., Edwards, R., Reay, D. and Standing, K. (1997). Choice within constraints: Mothers and schooling. Gender and Education, 9(4), pp. 397–410. Procter, S., Bickerton, J., Allan, T., Davies, H., Abbott, S., Apau, D. … Davies, J. (2009). Streaming Emergency Department Patients to Primary Care Services: Developing a Consensus in North East London. London: City University, London. Banongo, E., Davies, J., Godin, P. and Et al, (2006). Engaging service users in the evaluation and development of forensic mental health care services: a peer reviewed report to the funders..
Sandall, J., Davies, J. and Warwick, C. (2001). Evaluation of the Albany Midwifery Practice..
Davies, J., Heyman, B. and Et al, (2000). The development of practice nurse research: a needs assessment..
Ouston, J., Davies, J., Fidler, B. and Earley, P. (1998). The reinspection of secondary schools: a different impact the second time around?. Ouston, J., Fidler, B., Earley, P. and Davies, J. (1998). Making the Most of Inspection? The impact of Ofsted inspection on Secondary schools..
West, A., David, M., Noden, P., Edge, A. and Davies, J. (1996). Parental Choice, Involvement and Expectations of Achievement in School. London: London School of Economics. Fidler, B., Ouston, J., Earley, P., Ferguson, N. and Davies, J. Submission of evidence on The work of Ofsted to Education Sub-Committee, Education & Employment Committee. Oct 1998. HS1012 – Relating social sciences to healthy communities (module lead and winner of the HENCEL prize for innovation). HS1022 – Valuing care across the life course (leading seminars and lectures). HS2132 – Experiencing Acute Care (psychology and research lead). HSM132 – Experiencing Acute Care (psychology and research lead). HS3001 – Life Experience Placement (seminar leader). HS1001 – Engaging in Practice 'Personal and Professional Development 'PPD' (group facilitator BSc). HSM201 – Engaging in Practice 'PPD' (group facilitator PGDip). HSM332 – Experiencing Acute Care (research lead). HS2332 – Experiencing Acute Care [Mental Health] (research lead). HS1012 – Relating social sciences to healthy communities (module co-ordinator). Communication skills for health care professionals. Applied social sciences for nursing and midwifery students. Safeguarding for children and vulnerable adults across healthcare professionals. Children and youth work in schools and the voluntary sector. Experiential Learning. Member of the progrmme management teach for MSc Advanced Practice and Interprofessional Practice and BSc in Professional Practice. Member of the strategy committee for Community Engagement (and User and Carer Involvement) in the programmes for the school. Member of the development group for a new BSc Health Sciences. Safeguarding children and vulunerable adults across the school of health sciences. Leader of the child and youthwork stream through the professional practice degree including. Seminar lead on communication skills psychosocial impact of illness for midwifery students. Exploring Communities of Practice through Public Health Walks for Nurse Education. Paris, France (2016). Description: Both presented an e-poster based on the peer reviewed and published paper, and chaired the session on international public health. Observations on a public health walk. Poster at Mission Biodiversity: Choosing new paths for conservation, ,Montpellier, France. 3 August 2-6 2015. Montpellier, France (2015). Description: Student nurses walk in urban streets and parks to observe ecological concerns such as energy pollution and human-wildlife conflicts; and reflect on how they will communicate the benefits of outdoor activities for a range of individuals. While the socially advantaged may readily embrace outdoor activities, those from less advantaged backgrounds often view public spaces as high risk environments. On their walk students meet and talk to the people they will care for when they are in practice. They learn about the space where they will later encourage people to walk. And they get to walk and meet each other. Some reports from these urban walks view nature as dirty and dangerous. The teaching innovation that which requires students to step out into the real three dimensional world and use all five senses to observe has won a prestigious quality award from the local health education board and been evaluated positively by students. The method draws on the health worker’s long established practice of ‘walking the patch’ and their need to observe and write a report of what was noticed in a given time and area. The walk provides an opportunity to observe both old and new public health challenges and initiatives, from drainage systems upwards. The instructions given to the student to walk about in a group, observing, notice and conversing have been developed from the psychogeography ‘dérive’ developed by Guy Debord in Paris in the 1950s, which we first used successfully with business studies students to disrupt traditional transmissive learning. The educational initiative is valuable for healthcare professionals to learning about their area of practice and reflecting on how to develop strategies and manage challenges of using the natural environment as a space for developing healthy living. Nursing students walking the walk of counteracting environmental health inequalities. 52nd International Making Cities Livable Conference on Achieving Green, Healthy Cities, Bristol, UK (2015). Description: Abstract accepted for 52nd International Making Cities Livable Conference on Achieving Green, Healthy Cities in Bristol UK : June 29 – July 3, 2015. ‘Public Health Walks: a Methodology for Taking Students into their Communities of Practice’. City University London (2014). Description: invited to lead the opening seminar of City’s Community Engagement Seminar Series. An account of the presentation available as a blog on http://blogs.city.ac.uk/communityengagement/ . Following the success of this seminar presentation, the walk was presented and commended at Health Has Got Talent (May 2014) and subsequently nominated by the School and winner of the HENCEL prize. An abstract has been accepted for the Healthy Cities Conference in June with the title ‘Nursing students walking the walk of counteracting environmental health inequalities’. Understanding FMH care from a service user perspective: Findings from service user led research. Huddersfield University (2011). Developing a cultural understanding of inpatient risk management. King's College, London (2011). An exercise in emancipatory research. LSE (2011). The Lady Who Nearly Exploded. City University, London, UK (2011). The Risk of Delay in Emergency Care. City University, London, UK, (2009). Public Health Walks: a Methodology for Taking Students into their Communities of Practice. City Univesity London (2014). Invited to lead the opening seminar of City’s Community Engagement Seminar Series. An account of the presentation available as a blog on http://blogs.city.ac.uk/communityengagement/ . Following the success of this seminar presentation, the walk was presented and commended at Health Has Got Talent (May 2014) and subsequently nominated by the School and winner of the HENCEL prize. An abstract has been accepted for the Healthy Cities Conference in June with the title ‘Nursing students walking the walk of counteracting environmental health inequalities’. In 2007 Jacqueline was elected the convener of the BSA risk study group and have since organised three study days open to students: two at City University and one at the BSA offices in London. In 2009 she convened a risk study group conference ‘How Risk Theory and Practice Inform Each Other’ which invited members local Healthcare Trusts and other providers to attend. The conference showcased the scholarship and learning opportunities at City University as well as our links with the wider community. In 2011 she was awarded funding to run a second BSA conference: ‘Risk Policy and Decision Making’ which was open to students across London to hear about research projects related to risk management. In 2014 she co-convened a study day at the BSA London office with colleagues from City and Kent universities where many of the participants were post graduate students. A summary of my BSA activity can be found on the BSA website. Collaborative research projects led by Jacqueline in her early career at City University London contributed to the development of the Four University Consortium of Healthcare Research. As a member of the management committee she participated in developing the successful bid to the PPP Foundation (which soon after became the Health Foundation). The bid secured £2,500,000 which funded 21 doctoral and postdoctoral fellowships in nursing, midwifery and the allied health professions. For her successful management of the collaborative bid for fellowships Jacqueline was promoted in 2002.